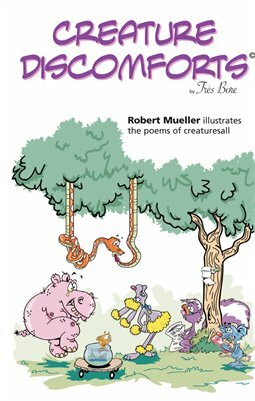 Writer, Bob Fielder and illustrator, Robert Mueller meld their fertile and fun imaginations to share their fun spin of all things fur, feathers, fins, skins and scales. No critter is spared from their fun-filled skewing and readers from pre-school through seniors will laugh and want to share these poems and pictures with family and friends. “Creature Discomforts” is just the first of six compilation volumes and is equally sure to be the first you’ll want to add to your library. If you like to laugh and you love Mother Nature these books satisfy on all counts.